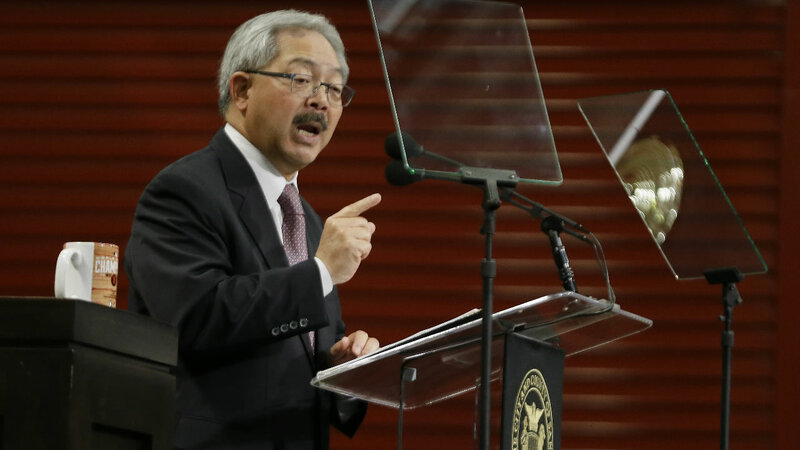 SAN FRANCISCO -- San Francisco voters have re-elected Mayor Ed Lee with nearly 57 percent of the vote. Lee, the 43rd mayor of San Francisco, was favored to win re-election even as the San Francisco ballot reflected deep concern over the tech-driven development he's championed in his five years in office. He faced five little-known candidates who had not raised much money. Critics said he caters too much to Silicon Valley, citing his brokering a tax break in 2011 to benefit Twitter as part of a remake of the city's downtown. His campaign argued that the city struggled with housing long before he became mayor. Lee spent much of the campaign touting Proposition A, a $310 million bond for affordable housing he said is badly needed to address the city's lack of housing. San Francisco voters last approved a housing bond in 1996, rejecting two others in 2002 and in 2004. Lee told reporters Tuesday night that the focus of his second term would be on housing and homelessness, with a strong focus on public safety. No other experienced politicians were on the ballot, but a few challengers combined to get more than a third of the votes cast in the election. The runner-up was musician and educator Francisco Herrera at nearly 15 percent. Amy Weiss, an activist and educator, finished with nearly 12 percent, while blogger Stuart Schuffman garnered more than 9 percent. The trio had encouraged voters to pick them as a unified bloc with their three ranked-choice options on the ballot as part of the "Vote 1-2-3 to replace Ed Lee" campaign. On the campaign's website, the trio said Lee "has allowed corporate interests to radically change our urban landscape and lifestyle." Lee, the city's first Asian-American mayor, said in his candidate statement that since he was elected in 2011, the city's unemployment rate has fallen significantly and there has been significant job growth and innovation. "Now, with a better economy, my priority is to ensure everyone is able to share in this growing prosperity," Lee wrote in the candidate statement.